We've discussed before, the virtues of dissecting each and every frame from these practice videos. 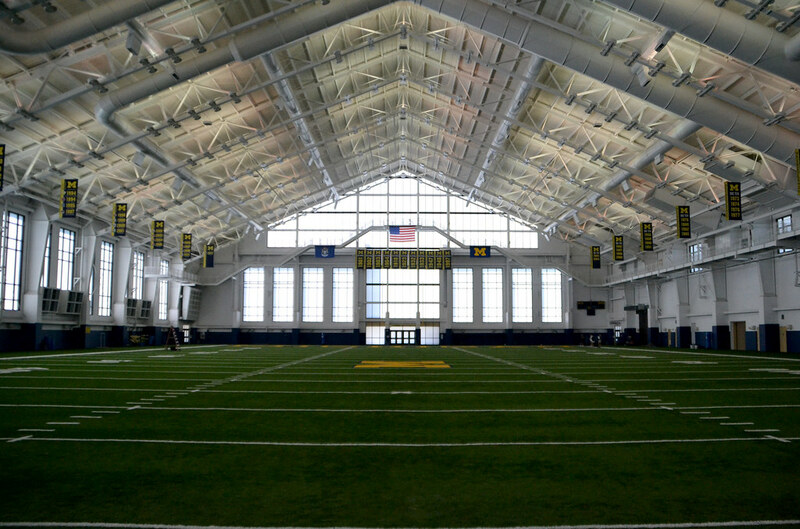 However, since media/public is banned from attending even a single minute of practice inside Fort Schembechler, these videos are all we got. • Always great to see the kids being coached up. If nothing else, it shows just how good this staff is. Probably looks good to the numerous recruits in attendance as well. • FWIW, At around 1:38 we see DT Ondre Pipkins (#56), DT Willie Henry (#69), DE Matt Godin (#99) and DE Frank Clark (#59) along the D-line. Interesting, to those who are interested in those things. And since you're here reading this, you are. • Seeing Lewan in there have me a warm feeling in my heart. That man has captain written all over him. I like seeing Ben Braden (#71) as well. He should be starting this fall. Kyle Bosch (#65) looking good. • Blake Countess up and running. • We see Greg Mattison coaching up the DE's. With Montgomery out, this seems like a more natural fit. I'm all for this. • Pistol at around 3:50? Nice rocket to Chesson @ 4:10. Devin looking like Devin here. Nice bomb to Funchess at the end. That'll satisfy the "Get Funchess more involved" faction...of which I'm a member.